Please note that we have our own reservation system so send us an inquiry for a complete quote and link to reserve. 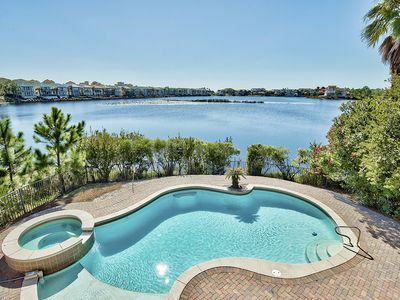 Just started renting for 2017 summer! Be some of the first to reserve the summer. 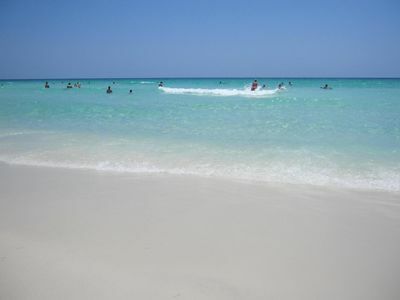 Welcome to our OASIS at the Beach!! 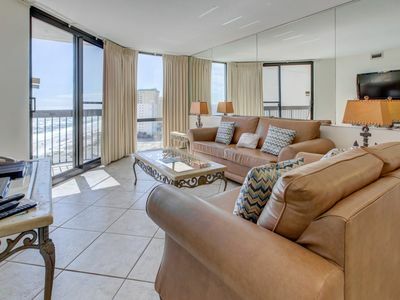 This luxury END unit, 3 bedroom, three bath, gulf view condo offers guests unobstructed, unparalleled views of the Gulf of Mexico. 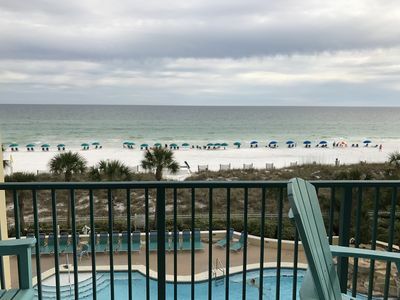 Pair the privacy and refuge of this condo along with all of the amenities including 2 pools, one on the beach, in the Sterling Shores resort and your vacation will be complete. 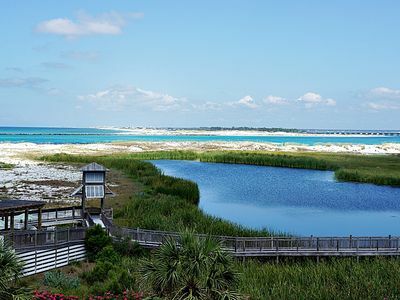 You can walk to Back Porch for seafood or the Candy Maker for breakfast. Indoors, modern furnishings grace the bright, airy rooms. 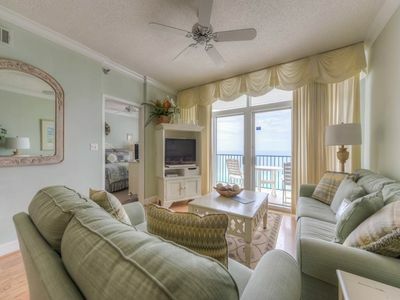 The open floor plan living area allows guests views of the beach and the Destin Coastline including Henderson Beach Park. 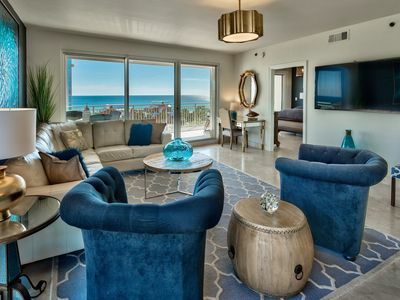 Modern coastal themes continue through the bedrooms which provide guests with comfortable beds, flat screen TVs, luxury furnishings and two balconies for doing nothing but taking in the sunsets and scenery. The Master King Bed Suite provides a flat screen TV, luxury bedding, two walk in closets and a private en suite spa like bathroom. The Queen Suite sleeps Four with a Queen Bed, single daybed with trundle, ,a flat screen TV, and an en suite bath with a large tub and glassed in shower. 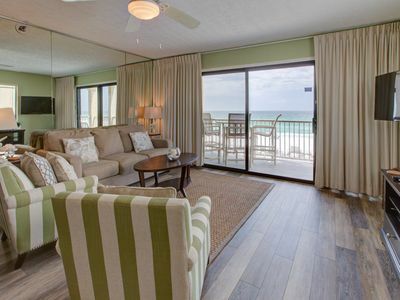 The second King Suite can be configured as it's own stand alone studio suite, including King Bed, secondary balcony, living area with sofa sleeper, kitchenette , en suite bathroom with walk in shower and secondary full size front loading w/d laundry facilities. 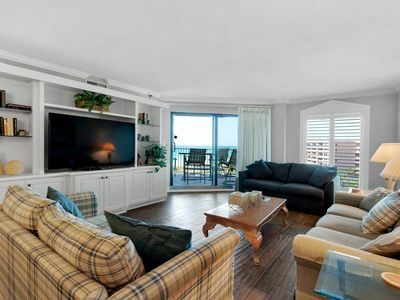 The living area has seating for nine and a large, mounted flat screen TV. 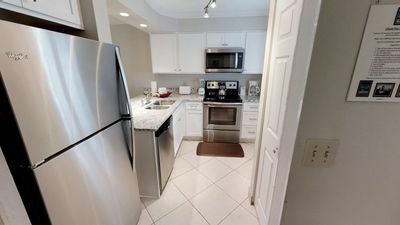 The kitchen is complete with stainless appliances including slide in range and is outfitted with with all the cooking supplies needed to create a gourmet feast. . Guests may dine at the formal dining area or at barstools along the kitchen counter. This residence underwent a major renovation including all new bathrooms, kitchen, new furnishings and many other upgrades. 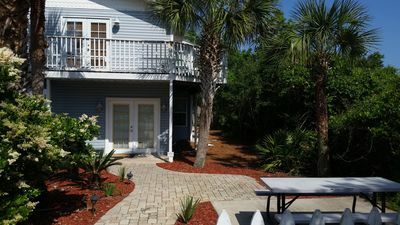 We are renting this unit during the summer of 2016. 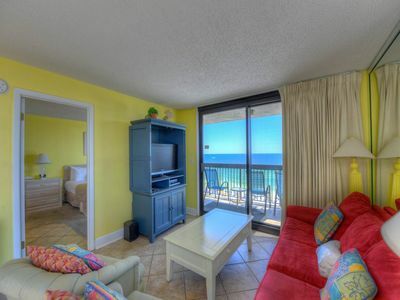 SunDestin 1517 - Book your spring getaway! 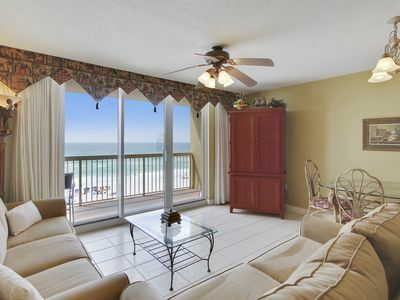 SunDestin 0308 - Book your spring getaway! 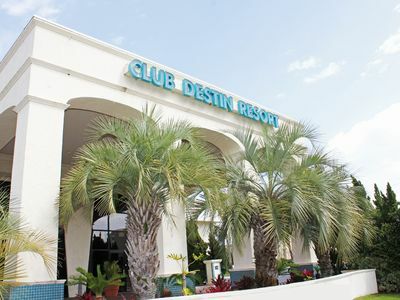 Inlet Reef Club 613 - Book your spring getaway! 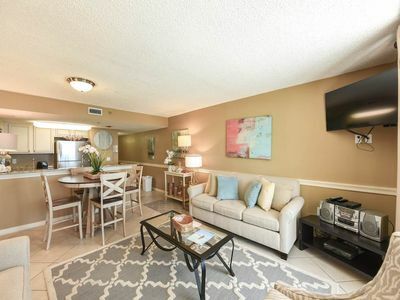 JettyEast 3BR/3BA Duplex-Completely Updated! Gorgeous Views! 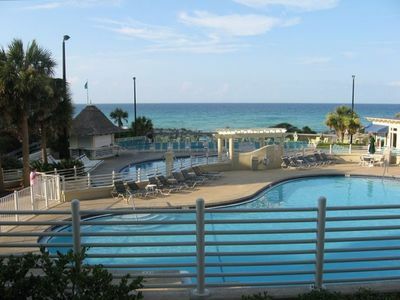 Club Destin Resort Condo 1 bdrm., sleeps 4, Dec.24-31st, Only $199/entire week! 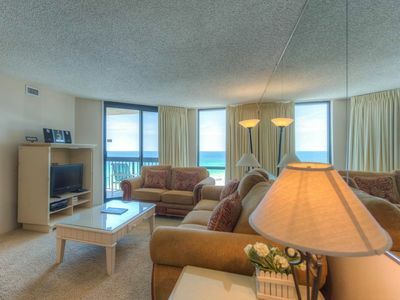 Unit 605 - Gulf View East Gold Unit Complimentary Beach Service!